Employees graduated! 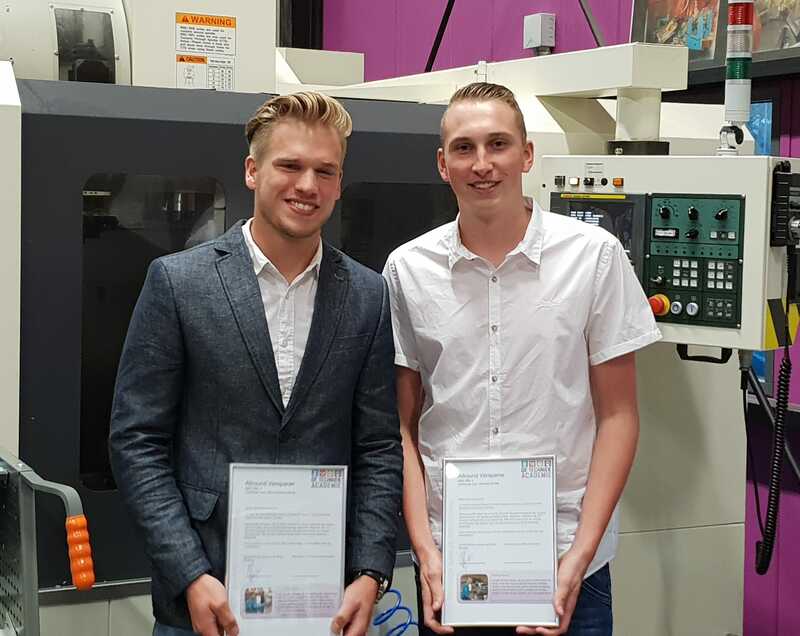 - Hetraco B.V.
For a number of years we have been working intensively together with The Technics Academy in Harderwijk for the education of young professionals. We are proud to announce that this year 2 employees of Hetraco / DBC have passed for their education Allround Machiner MBO level 3. They’ve made the choice to focus in the coming 3 years on bringing in the diploma level 4 machining technology. More than 100 technical companies have already joined The Technics Academy. Together they think it is important that more students choose technology, in order to get more technicians on the labor market. The Technics Academy offers technical courses in collaboration with Landstede MBO, in which practice and theory are optimally coordinated. The student is working for three days and goes to The Technics Academy two days a week. Practical assignments are carried out at The Academy itself, so that you can fully use the student in your company.